Couple of days ago I shared with you my daily mini SP chart with a possible sell signal I had. That specific signal along with the one below for the mini Russell got a confirmation in my opinion with price action breaking below immediate support. 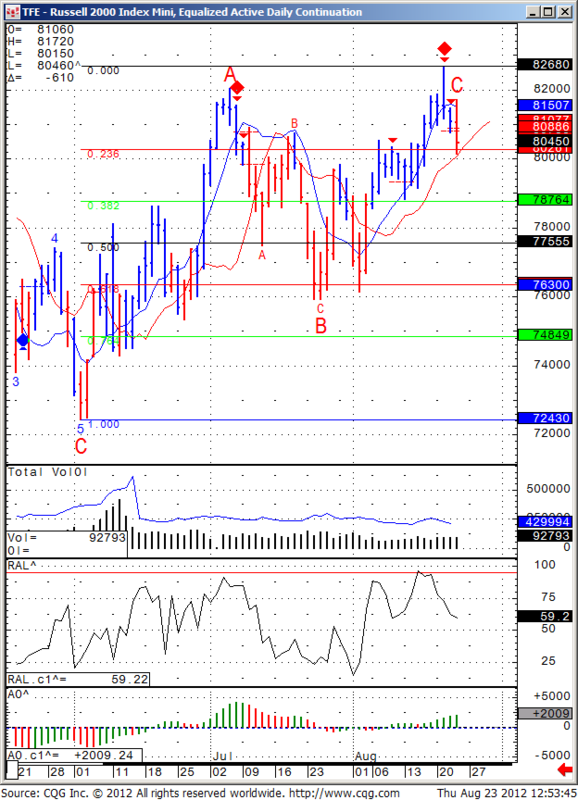 For the mini Russell 2000 to make a meaningful correction, perhaps 787, I would like to see price action breaking below 801 .
visit our trader profile page!